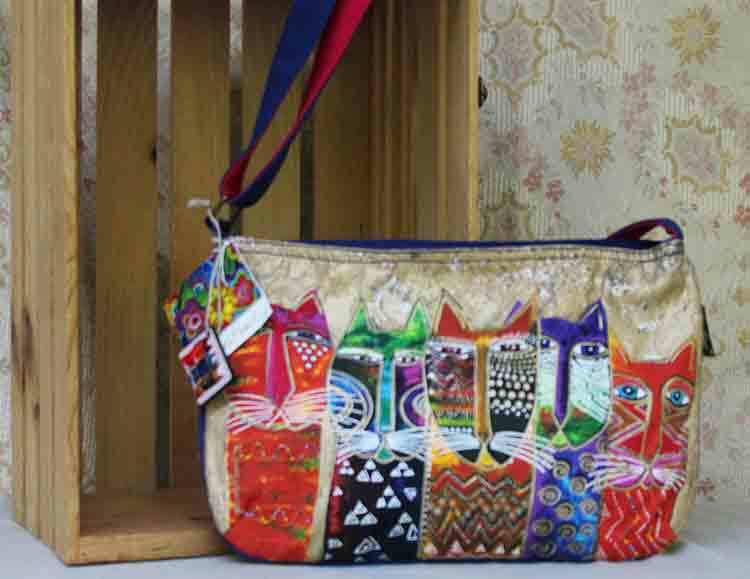 Canvas with top-closing zipper with cat zipper pull. Design background is a gold print and the cats are outlined in gold. Small beads sewn on cat bodies. Same design is on reverse. Adjustable shoulder strap. Zippered pocket inside. Mirrored bag charm.